Time off can be a hassle to calculate, track, and use. With a robust and efficient Human Resource Management features, one can seamlessly track and monitor everything in real-time. With Open HRMS, one can automate the routine and time-consuming HR tasks to a hassle-free and speedy actions, enabling you to work more on the organizational goals for better tomorrow. 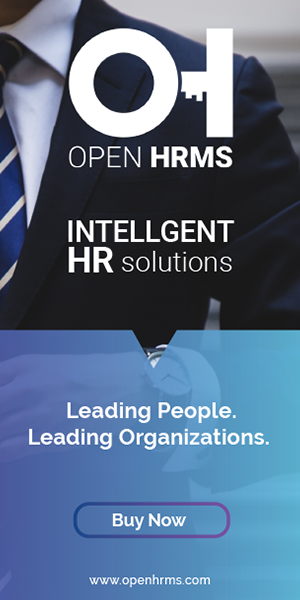 Every HR activities including the employee recruitment, records management, employee onboarding, benefits, timesheets, and other administrative tasks are precisely and credibly managed by Open HRMS. One can flawlessly, customize the Open HRMS software according to your company requisites and HR Workflows and thereby work more ease. Open HRMS eliminates the conventional paper works by automating every information. It efficiently captures, stores and gives quick access to necessary information in one single click. One can complete the processes in simple steps and channelize efforts to more strategic and planned routes. Open HRMS automates every HR management tasks and thereby improve the productivity of the workplace. Planning or designing a strategy involves a great deal of risk and resource assessment. From employee recruitment to employee retirement, Open HRMS caters to every basic need of an employee via building a strategic framework for each individual benefiting both employee and organization. Open HRMS comes with long-term resource mobilization, keeping a prime focus on the organizational goal and evolving nature of work. Open HRMS scrutinizes and plans employee improvement programs, appraisals, and rewards. It efficiently forecasts how employee quality improvement programs can be integrated into the overall business uplifting. Employee’s participation enhances the relationship between an employer and his organization. It establishes better human relations improving efficiency thereby increasing the productivity of the working unit. The high morale thereafter can be utilized for increasing production attaining the economic objectives of the company. Open HRMS is an excellent solution to enhance employee participation at all possible levels. It promotes Gamification, Appraisal methods and feedback systems for improving the confidence and productivity of an employee. Open HRMS catalyzes every possibility of employee engagement activities and self-directed work culture. Stay tuned, get informed and work for long-term goals with Open HRMS. Attain a holistic report of HR assets through Open HRMS’s Business Intelligence reports, Drill down tables, Pie chart and Bar Diagrams. It gets you an overall insight into employee performance, analysis of leaves and other absences, employee recruitment processes, figuring out the best candidates, evaluation of employee engagement, thereby taking swift decisions. Open HRMS also initiates organizations to take a timely decision upon the employees and organization requisites bringing a qualitative change in the business workflow. Let us see how the above said benefits are achieved through Open HRMS. Below are the features of Open HRMS, giving your business an ultimate experience of hassle-free management. Recruitment is the first step of procurement activity. Recruitment fulfills the organization’s needs by delivering competitive, motivated, flexible and more adaptable Human Resources meeting organizational goal and objective. Open HRMS is an efficient applicant tracking system, dynamic recruiting software streamlining every recruitment process. Open HRMS lists every new opening in the company, define various recruitment stages, applicant tracking, and also place the most suitable resource faster than ever. It reviews the recruitment process from time to time with the help of HR reports and improvises the selection strategies. a) Lists the current openings in a company along with the desired set of information. b) Define Recruitment Stages to track and improvise employee recruitment processes. c) Design surveys, questionnaires and skill tests for assessing the quality of candidates. d) Track and manage the candidate’s application. Bring all necessary documents to one place. e) Automates and monitor every employee entry procedures. f) Seamless processing of employee resignation if any and initiating appropriate actions. A centralized employee database solves the organization hurdles by keeping every relevant information in an interactive and responsive database. It helps in real-time information access among both employee and employer. In short, it complies with up-to-date information all the time. An organization never have to worry about conflicting versions, or editing multiple files. All the work is seamlessly managed by the database. Open HRMS comes with a centralized database letting the end user organize and manage their employee data from one single point. It efficiently tracks the Employee Leaves, Employee Attendances, Timesheets, Appraisals, Expenses, and more from employee master form. It keeps the log of employee lifecycle and examines the improvements in your workforce over the period of time. a) Powered with an Employee Master for storing every personal information of an employee. b) Systematic and structured management of employee documents. Timely notify the expires. c) Simplifies the employee tracking processes. Comes with easy editing and modifying options. d) Keep employee work logs for better understanding and analysis of employee performance. HR Administration section is the key to control Open HRMS. One can create an organization employee hierarchy and thereby control the data flow within the system. Through HR Administration, it is easy to provide access to the assigned users or restrict them from accessing the relevant information. It helps in circulating ordeal the relevant information via reminders or emails and also they are timely follow-ups/ responses through the proper channel. a) Create different departments, assign managers and different users to replicate your organization structure. b) Previews the organization at glance via department tree and employee tree. c) Provide/ Restrict access rights of employees from accessing documents like accounts, leaves, and attendance. d) Enhances internal communication. Streamlines the bidirectional communication through Reminders, HR announcements, and alerts. Provisions mass mailing option and group communication. e) Manage human capital of different company branches from a single point without hindrance. f) Transfer employees between branches, modify work contracts. g) Maintain separate HR data for different branches and more. h) Manage Lawsuits pertaining to employees for smooth business executions. i) Smoothly transacts resignation processes and initiates quick actions from admin. j) Efficient handling, systematic distribution and proper tracking of company assets. k) Organized and well-structured management of Employee Work shifts. Payroll management is often tedious in nature and can create a huge burden and unwanted stress for business organizations, no matter how big or small they are. Often a missed deadline or incorrect filing of taxes creates high uproars and repercussions to the company. To avoid these complexities and issues, the businesses can implement an efficient payroll management software. Open HRMS Payroll streamlines the entire payroll management process for a company via organizing every task pertaining to employee payment and filing of employee taxes. These tasks can include keeping track of hours, calculating wages, withholding taxes and deductions, printing and delivering checks and paying employment taxes to the government. Open HRMS reduces payroll processing time with its advanced Payslip generation methods based on the timesheet, salary rules, and salary structures. a) Creates an all-inclusive employee contract with an option to notify the expiry of contract in the latter case. b) Creates different salary structures for different employees based on salary rules. c) Efficiently calculates the salary components like DA, HRA, Gross Allowances, PF and other miscellaneous benefits of an employee. d) Use salary rules and configure any type of employee benefits in salary structure. e) Designs employee contracts based on timesheet submitted by each employee. f) Eliminates individual Payslip generation overheads. g) Applies batch generation option and generate the pay slips of all employees’ falling in the same salary structure. Performance Appraisal is all about the systematic evaluation of employee performance thereby understand the employee abilities for further growth and development. Open HRMS implements structured and logic appraisal strategies. Strives to keep motivational and performance level of your employees high. Create a Top Down or Bottom-up evaluation plans. Give timely feedbacks and complements for accomplishments. Open HRMS lay down transparent appraisal procedures where employee engagement is also necessary. a) Create evaluation plans, design surveys and interviews, schedule the evaluation and do periodic appraisals. b) Provisions multiple appraisal method-employee can evaluate colleagues, perform self-appraisal etc. c) Provides with insightful feedback and instant appreciation for employee accomplishments. d) Timely designs objectives, assign challenging goals to employees and provide rewards for their accomplishments. e) Displays Top performing employees for timely rewarding in return. Get a complete picture of leaves and attendance of an employee with Open HRMS. The efficient reporting of Open HRMS gives you complete insights as well as fine detail. Open HRMS process real-time attendance with multiple options for attendance capturing and biometric hardware integration. Open HRMS attendance tracking system is integrated with payroll and leave management system; delivering an efficient attendance management system with all intuitive features. a) Multiple attendances capturing method-Employee login, Biometric Integration, Kiosk Mode. b) Seamless attendance capturing via integrating thumb/face detection biometric devices. c) Smoothly transacts employee leaves via different leave policies and multiple leave formats. d) Automatic generation of leave requests in desired formats. e) Set multiple approval points if the leave demands more than one person’s approval. f) Employee vacation management- Leave notification, Approval, Assigning the pending task and many more. Efficient reporting enables to keep a finger on the pulse of organizations by tracking key workforce metrics. Every new trends and opportunity can be early spotted on and addressed before it makes a significant impact on the business. Open HRMS comes with an intuitive reporting of all segments from recruitment to retirement giving detailed, multi-dimensional reports of each employee. Open HRMS provides a wide range of reports on recruitment processes, employee attendance and timesheets, Attendance, Payroll, Expense, and other HR assets and its utilization. a) Tabular and graphical view of employee recruitment stages. b) Well-structured and organized Attendance and Timesheets reporting. c) Generate custom leave reports on the basis of an employee, leave type and department in all tabular, graphical and calendar format. d) Generate payroll monthly statement and export them to excel. e) Craft graphical reports on employee expenses for easy monitoring. f) Generate drill down custom reports to analyze the data from multiple angles. Open HRMS ensures employee benefits are dispensed appropriately in real time without any delay, reducing the complexities in procedures and delivering the benefits straightforward to the corresponding employee in utmost clear and transparent format. Open HRMS employees can experience satisfaction and peace of mind leading to increased productivity and satisfaction. a) Manage employee insurance via setting monthly deductions and automatic generation of Payslip. b) Efficient Loan Management via configuring different loan policies, assigning approval authority and verification conduct. c) Configure advance salary rules and provide salary in advance to your employees. In short, Open HRMS is an all-inclusive, comprehensive Human Resource Management software that caters to every human resourcing needs in a business. To know more about on Open HRMS or other Odoo services, kindly drop your query to info@cybrosys.com.